Don’t Let Those Canker Sores Get You Cranky! Let Essential Oils Deal With Them! Hola Peeps! Welcome back to the world of 100% natural cures for all that ails the human body and mind. I am your friendly EO guide Olivia and I am going to be taking you on an aromatic journey that will have you up and running in no time. Today, we are going to talk about an issue that I like to call TYT – Tiny Yet Torturous! Say hello to canker sores. As always, I am going to tell you all about this little problem right from what causes it to how it is commonly treated and how you can use essential oils to deal with the issue. What Are They? The Pesky And Painful Problems That Are Canker Sores! Canker sores don’t make their presence felt on the outside but they don’t spare any part inside your mouth; from the tongue to the inner cheeks and from the inner lining of the lips to deep inside the throat, these ulcers can crop up just about anywhere. Don’t let their small size fool you because the pain they cause is enough to shut you up, literally. Yes, the sores can make it hard to talk, swallow, chew and eat. Ironically, for all the trouble they cause, these oral lesions are usually tiny at just 3-10 mm in size. As the name suggests, these are tiny ulcers usually measuring between 3-10 mm. This is the most common form of the ailment and it typically gets resolved in 1-2 weeks without leaving scars. The ulcers in this form of the condition are larger with a diameter of more than 10 mm and an irregular border. The bigger size of the ulcers points to greater inflammation, which means it takes them that much longer to heal. Typically, major canker sores need at least 2-4 weeks to go away and they often leave a scar. In terms of size, the ulcers in this form of the condition are the tiniest, at just 2-3 mm. But what they lack in size, they make up for in terms of collective appearance. Unlike the other two forms of the conditions where you will see solitary ulcers, in this category, the ulcers appear in groups and eventually merge to form one large ulcer. Although they too heal without scarring, the pain is intense and the healing period is longer because people may have as many as 100 ulcers clustered in the same spot at any given time. So, What Brings On This Troublesome And Painful Condition? The exact cause of canker sores continues to remain a medical mystery, but they do know factors that often act as triggers. Any sort of mouth injury increases your risk of getting canker sores; this could be from blocking a fist with your face or getting too adventurous with your toothbrush. An accident of any kind that hurts the mucous lining inside the mouth or dental work that causes irritation may lead to canker sores. Acidic foods that can irritate the mucus membrane like citrus fruits and food items that you are allergic or sensitive to. An allergic reaction to the bacteria in the mouth (not necessarily harmful bacteria or microorganisms that thrive when dental hygiene is lacking). Deficiency of folate, Vitamin B 12, iron. Emotional issues, including stress, depression and anxiety and others. Allergy to sodium lauryl sulfate, which is a common ingredient in toothpastes. Smoking or the oral consumption of tobacco or nicotine. Any disorder/procedure that throws the auto-immune system out of whack, like organ transplant, cold, HIV/AIDS, flu. Auto-immune disorders like Behçet’s disease and systemic lupus erythematosus. Gastro-intestinal disorders like Crohn’s diseases and Celiac disease. Medicines like beta blockers, immunosuppressants, aspirin, NSAIDs, antibiotics, penicillamine, antiretrovirals, vasodilators, antihypertensive drugs, platelet aggregation inhibitors, anticholinergic bronchodilators, protease inhibitors, chemotherapy drugs and sulfa drugs. How Do You Know You Have Canker Sores: Trust Me, They’ll Let You Know That They Are On Their Way! Burning, tingling or pricking pain in the spot where the ulcer will eventually show up. This can be felt almost 24 hours before the actual appearance of the ulcer, which gives you enough time to treat it preemptively. Crater like sores with a slightly depressed, yellow, gray or white center and an inflamed and raised, red border. The canker sores show no sign of abating even after treatment. You see more sores appearing or if existing sores get larger. The pain lasts for more than 2 weeks. You have severe difficulty in swallowing that reduces your intake of fluids to the point of dehydration. You have pain that does not subside even after the use of OTC painkillers. The sores are accompanied by persistent fever. If bouts of canker sores get more frequent. So, How Will A Doctor Deal With Canker Sores? Modern medicine takes a four pronged approach to treating the condition, based on just how severe the symptoms, meaning pain and discomfort, are. I am going to list them from the least invasive to the most and from minimum side effects to maximum. These are meant to dull the pain, tackle inflammation and take care of any secondary infection. They taste awful, and depending on the strength of the anesthetic and the position of the ulcer in your mouth, will leave your tongue and cheeks numb. Formulations meant to control pain generally contain lidocaine or benzocaine and are available over the counter. You apply the ointment on top of the ulcer and leave it be or you use a readymade patch that keeps the formulation in place for longer. Topical anti-inflammatory and anti-biotic ointments are prescriptions meds and you will need to follow the instructions of a doctor/dentist when using them. Mouth rinse formulations containing anti-inflammatory steroid like dexamethasone and antibiotics like tetracycline are often recommended to treat moderately severe cases of canker sores that refuse to go away on their own or in response to gels and ointments. The rinses may also be used in combination with topical ointments. These are prescription formulations and they should be used like any other mouthwash. When those ulcers don’t heed to topical and less invasive forms of treatment, your doctor will put the heavy artillery to use. This usually involves OTC pain pills and antibiotics. So, you may be asked to take Tylenol, Advil or Aleve for the pain and even oral steroid if you have a severe problem with canker sores. In case of HIV related canker cores or recurrent and severe ulcers, doctor may prescribe thalidomide; the use of this drug is associated with severe birth defects. Even when thalidomide is not used, it goes without saying that oral meds carry the highest risk of side effects. You may remember the term “cauterize” from when Superman used the method to save Lois’ life after she was attacked by the ship’s security system in Man of Steel. If you were too busy drooling over Henry Cavill and missed it, I forgive you! The term literally means the destruction of tissue by burning. In this case, they won’t be using Superman’s laser beam abilities but a chemical to sear the canker sores. The jury is still out on whether the process speeds up healing, but what we do know is that it helps to tame the pain when nothing else seems to work. Typically, they either use silver nitrate or debacterol for the job. As you may have noticed, many of the drugs used to treat canker sores present a very real risk of side effects and even those that don’t immediately cause harm cannot be used over the long term. 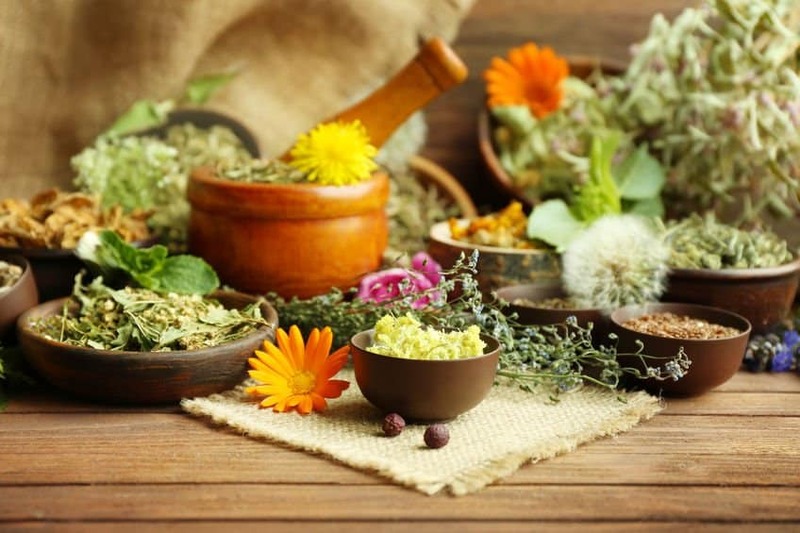 To cut a long story short, if you are frequently haunted by mouth ulcers, it will be in your best interest to choose natural and holistic treatment options. That said, let me answer the “question-du-jour” for you. 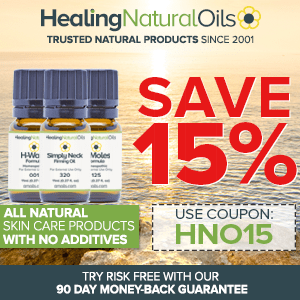 Why Do Essential Oils Work For Canker Sores? Stand back and consider all the problems that this condition brings on and you will notice that in essential oils you have a cure for them all. I am talking about pain, inflammation and the risk of infection. All of these can be handled with relative ease through the use of essential oils. In fact, many EOs are more effective than their chemical counterparts when it comes to alleviating the pain and inflammation of canker sores; case in point – Clove oil, which is the gold standard when it comes to healing any problem that is mouth, teeth or gum related. I also want to point out that these oils having a calming effect on the immune response of the body and even work on balancing hormonal levels. Did I forget to mention their superlative stress relieving abilities? I reckoned you’d already know all about that after reading my other articles! So, there you have it; the answer to why you should turn to EOs to keep canker sores away from your mouth and life. This one had to be the first in my list because as I said, it is the “be-all and end-all” treatment for all your mouth related troubles. This anti-oxidant rich oil is also a powerful numbing agent and has antiseptic properties to boot. In fact, the aromatic extract has earned itself glowing reviews as one of the few natural or chemical substances that can offer relief from canker sores in just 24 hours. With its antibacterial, anti-viral and anti-fungal properties, this oil too has earned its place in my list. This extract not only stops the ulcers from getting infected but also accelerates healing. So, don’t be surprised if you see fantastic results in just 2-3 applications. The humble Melaleuca oil is hardly ever considered a potential treatment for mouth ulcers because it cannot be ingested. However, used sparingly, this potent healer checks the spread of infection and its powerful astringent properties promote faster healing. 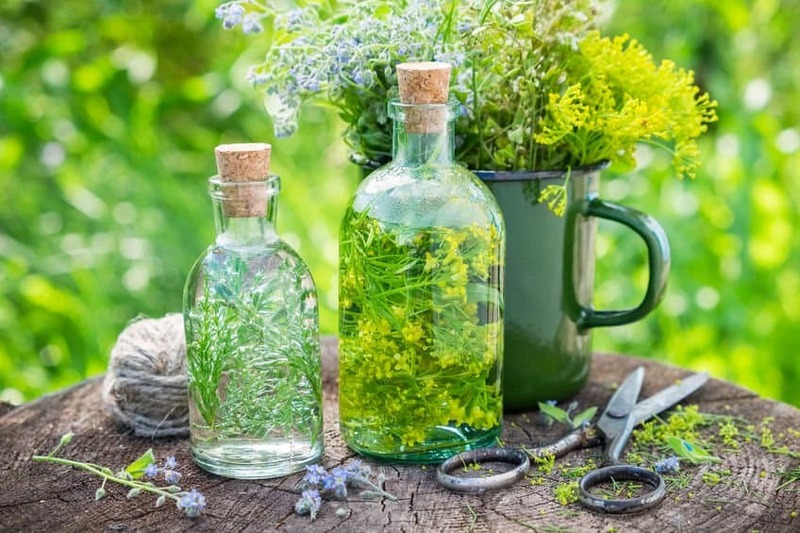 The flowers and plant parts of German chamomile and the volatile oil derived from them, all contain bisabolol, a substance that brings about rapid healing of the skin tissue and tones down both irritation as well as inflammation. Moreover, this EO also boasts of moderate analgesic and antiseptic properties, so you cover almost all bases with this one. 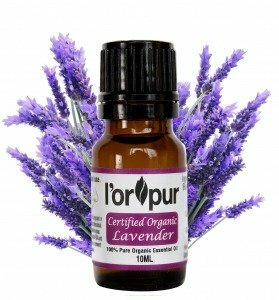 You would have to be living not under a rock but on another planet to not have heard about the healing and antibacterial properties of lavender oil. The therapeutic benefits of this extract run the gamut, so it can definitely be used to treat mouth ulcers. Also known as lemon balm, Melissa oil is often considered to be one of the best treatment for canker sores owing to its significant antibacterial strength. A “must-have” in your EO cabinet, this one is a true multi-tasker. When used against canker sores, peppermint EO acts as an anti-inflammatory and antiseptic agent that prevents infection, soothes the pain and does all of this while leaving you with minty, fresh breath. While peppermint cools, this one generates heat or the sensation of it. With the highest content of a compound called cineole, this aromatic extract packs in superlative healing capacity. 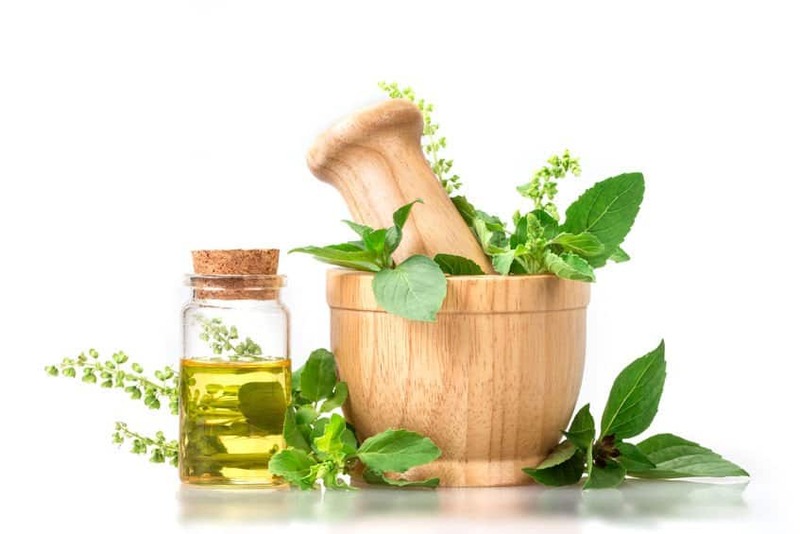 In fact, eucalyptus oil can offer almost immediate relief from the pain caused by mouth ulcers and treat the inflammation and infection all at once. 1. A liver detox to keep canker sores away! Add the ginger powder/juice, raw honey and lemon juice to the grapefruit juice in the glass and stir well. Mix in the EOs and stir vigorously, top the glass up with warm water and enjoy the tangy concoction. You can have a glass of water on top but don’t eat or drink anything else for about 30 minutes. Preparation is easy; you simply mix all the ingredients together and give them a good stir. Take a dollop of the EO infused honey on your finger tip and hold it against the injured part. Even if there is no visible skin damage nor bleeding but just a bit of redness, this gel will help to tone things down. Press the honey gently against the inflamed part and hold it in place for about a minute. You can go for round two if there is visible bruising, and that is all there is to it. Mix the oils together and store in a dark glass bottle. Now, there are two ways to apply the blend. You can use your fingers but the secretion of saliva will not let the lipids stay long enough to make a difference. So, go with a small pad of cotton wool. Pour 2-3 drops of the blend in the center of the pad and place it right on top of the ulcer. If the sore is on the inside of your lip or cheeks or even on the gums, you won’t have to use your fingers to hold it in place. If not, go ahead and keep your finger on the pad and let it works its magic on the ulcer for about 2-3 minutes; discard afterwards. A quick word of warning here, the clove and wild oregano oil will sting like hell although the cooling effect of the peppermint EO does take away from the heat a bit. However, the immediate effect is intense burning, but it only lasts for a few seconds and after that the pain will be gone to be replaced by a heavenly cooling. So, I’d say totally worth the few seconds of discomfort. Add the herbs to 2 cups of water and bring to a boil. Continue boiling till the quantity of the liquid is reduced to 1 ½ cup. Add honey/ agave syrup to the infusion and let it cool to a point where the brew is drinkable. Pour yourself a cup and set it aside. Use the rest as a mouth rinse before you down the tea. Make sure that you properly bathe the sore in the concoction when rinsing your mouth with it. Don’t swallow the tea when rinsing with it. Rinse 2-3 times and then you will be ready to put your feet up and enjoy the minty beverage. Mix the salt and the EO’s together in a glass bowl. Add warm water to it and stir till the salt crystals get dissolved in the water. Use the solution as you would any mouth wash. Swish it for about a minute and then spit it out. Repeat two to three times and use the solution at least 3 times a day for best results. If you have used distilled water, you can store the solution for 3-5 days but if you have used regular water, you should only keep it for a day and discard the remaining mix. Don’t forget to warm the solution slightly every time before using it. Mix the eucalyptus, lavender and clove essential oils together with the olive oil and store in an amber glass bottle. The blend will stay good for 3-4 months if stored away from heat and sunlight and if you don’t expose it to moisture. To use, start with a quick mouth rinse that will prep the ulcers for the treatment to follow. Stir the salt into the warm water till the crystals dissolve and add peppermint EO to the solution. Mix vigorously and use this as a mouth rinse. Swish the solution for about a minute and spit it out. Do this 2-3 times. Then, use a Q tip to apply the oil blend directly on the ulcer. Brace yourself for the intense heat that will follow. It only lasts for about a minute but it is sharp enough to bring tears to your eyes. Yet, I highly recommend this treatment for stubborn sores. Remember, you are not supposed to swallow this blend. So, for 2-3 minutes after application spit out your saliva and then go about your day as you normally would. 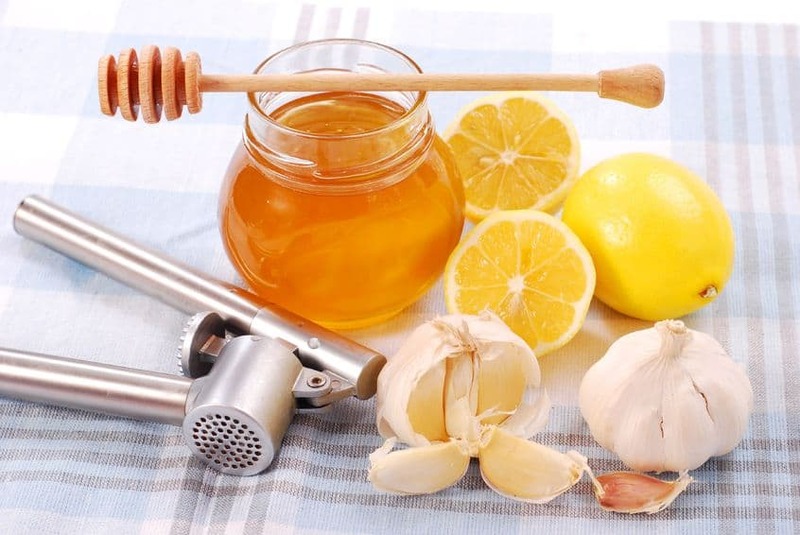 Treat your mouth ulcers with this blend no more than twice a day. Typically, one day is all it takes to get significant results, but if need be, you can use the oils for up to 3 days. The acids in citrus fruits and the jagged bits that nuts turn into as you chew them can cause bruises and cuts that eventually lead to mouth ulcers. Eatables like crunchy potato chips and hard candy, think sharp and pointy pieces here, do just as much damage. Now, there is a way to get around the restriction on citrus fruits and nuts, and it’s justified because they are very healthy but I can’t say the same about other hurt-causing foods items. The only thing to do is to stay away from them; in the process you will be doing your health a favor, so totally worth it! That said, let us talk about fruits and nuts. For citrus fruits, the mix and match approach helps to annul their acidic effect. So, consider a juice that is made by combining oranges and apples or pineapple and cantaloupe and grapefruit with carrots and kale. The idea is to use alkaline vegetables and fruits to neutralize the acids in citrus fruits. As far as nuts go, work them over in your blender to make, butter, flour or a smoothie. The fragments will be so tiny that they won’t be able to do any damage to the delicate inner lining of the mouth. I have already told you that an allergic reaction to sodium lauryl sulfate in your toothpaste can increase the risk of mouth ulcers. Generally, food items that cause allergies tend to cause canker sores. Once again, the only thing to do here is to stay away from them. Everything from dairy products to peanuts and from pork to chocolate is known to cause canker sores. To single out trouble-causing foods, keep a journal of foods consumed and incidents of mouth ulcers. If your body is low on vitamin C, B-complex and zinc, these deficiencies can manifest themselves in the form of mouth ulcers. In this scenario, a high quality multi-vitamin along with zinc lozenges may be all that you need to treat the sores. L-lysine, an amino acid, is also known to help prevent and treat canker sores. You will need to take 2 pills of 500 mg each per day for at least a week to see significant results. Nothing in nature soothes like aloe gel. So, use the healing and soothing properties of this botanical to treat your canker sores. Mix aloe gel and water in equal parts and freeze in the ice cube tray. Apply the aloe-water icicle on the sores up to 3 times a day to instantly relieve pain and speed up healing. If your braces or dental caps are constantly causing irritation and bruises which eventually lead to canker sores, it is time to have them checked/removed/replaced by your dentist. If your dental prosthetics are aggravating existing sores by rubbing against them, prevent irritation of the mucous lining with a homemade wax cap. You will need 1 tbsp. beeswax and 2 tbsp. any carrier oil. Melt the lipids together in a double boiler and add 5 drops of peppermint EO to the blend as it cools. Whisk well and allow the lipid mixture to cool to room temperature. Take a dollop of the waxy blend and press in between your fingers and place it over the tooth, cap or brace that is giving you grief. There you have it folks, don’t let canker sores canter into your life because once they make a home for themselves in your mouth it can get hard to kick this pesky trouble out. You also need to understand that problems like canker sores, which are in same way or form linked to the immune system, often get resolved when you shift to a healthy lifestyle. So, giving up cigarettes and other tobacco products, eating healthily, regular workouts and just showing your body how much you love it can go a long way in both preventing and treating these sores. On that note, here is wishing you all a life time free of mouth ulcers! When Your Tummy Refuses To Behave Itself: Let Essential Oils Deal With Your IBS! Have You Considered Essential Oils To Deal With Your Laundry Problems? Just a question​, is or isn’t it safe for EOs to be ingested or not? Does anyone really know for sure because it sure is confusing when half a dozen sites states you can and others state you can’t. And what’s up with therapeutic grade and organic and 100% pure? And which are best to use topically or in stuff like body washes and shampoos and diffusers etc? I love EOs and their many uses but I don’t want to be buying a lot of synthetic junk if I can help it. How can you tell fake from real stuff? Ingestion depends on a lot of factors and not all EO can be ingested. I would personally not ingest EOs unless advised by a doctor, so please consult with a doctor in case of underlying health conditions. Whether you use EO topically or added to other products depends what you are using the EOs for, i.e. for a particular skin condition, for hair, cleaning, etc. A lot of your posts seem to be a reflection of what’s going on in my life on a weekly basis. Weird but love it! Thanks for sharing your passion and experience with the rest of us. No worries at all. Let me know if there’s any topic you’d like me to cover.